If you’ll forgive me, this is an old one, (from 1992) but that doesn’t mean it isn’t fantastic. 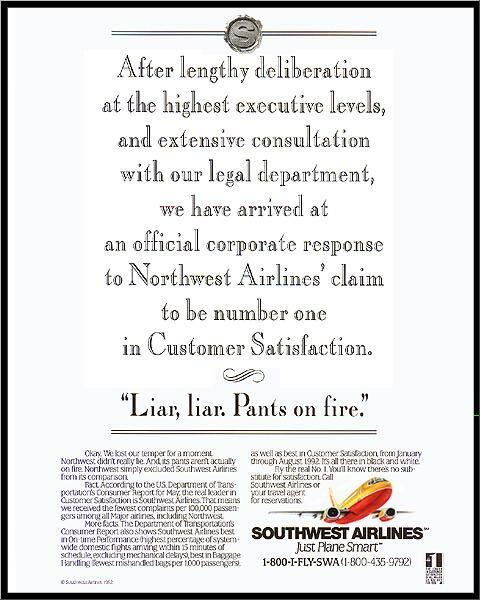 Northwest Airlines and Southwest Airlines were in disagreement over who was number 1 in customer satisfaction. This was the Southwest response. It makes me smile anyway. From the Southwest Advertising Gallery.